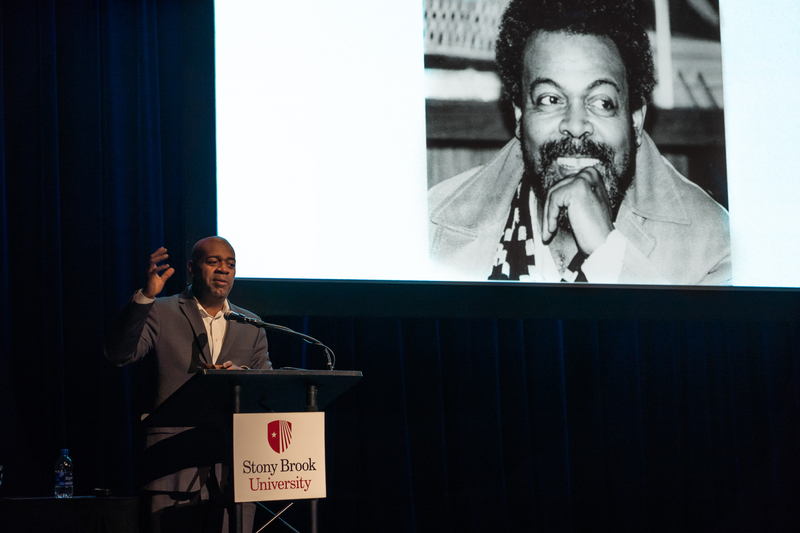 The Africana studies department at Stony Brook University held a two-day symposium this week in honor of Amiri Baraka, a controversial poet, writer, activist and previous Stony Brook University professor, for its 50th anniversary celebration. A poetry slam, film screening, panel of scholars and Baraka’s son, Newark, New Jersey Mayor Ras Baraka, remembered and discussed the legacy of a political artist who drew both criticism and praise with his poignant personality and work. Known for his poems about music, commentaries on society and activism during the black arts movements in the 60s and 70s, Baraka was also criticized and accused of being anti-Semitic over the poem “Somebody Blew Up America” that he wrote after the Sept. 11 attacks. Africana Studies Chair Tracey Walters said she received several emails from fellow professors voicing their concerns, which she replied to with statements in addition to reaching out to the Jewish community on campus to let them know of the event’s intent. She invited the attendees to start an open dialogue about the complexity of Baraka’s artwork and political beliefs. “The best way to address our differences, the best way to address our pasts, our history, however complex in nature, is to have a public discourse about it,” she said. During a panel discussion titled “An Urgent Voice for Liberation in Times of Trouble: Celebrating the Legacy of Amiri Baraka,” Dr. Komozi Woodard, a history professor at Sarah Lawrence College, said some of Baraka’s political work might be instructive even today. In 1972, Baraka helped organize and chair the National Black Political Convention in Gary, Indiana. With the theme “unity without uniformity,” the convention worked to unite blacks politically and to create a third political party. “We owe the legacy of the founding of Africana studies, in so many ways, to this kind of work,” Miletsky said. Amadi Agbomah, a junior Africana studies major and a poet, said she had studied Baraka’s work before but the event taught her new things about Baraka and gave her the chance to take a look at the original copies of his work in the university archives.